Emily Oshima Lee, M.A., and Ezekiel J. Emanuel, M.D., Ph.D.
A sleeper provision of the Affordable Care Act (ACA) encourages greater use of shared decision making in health care. For many health situations in which there’s not one clearly superior course of treatment, shared decision making can ensure that medical care better aligns with patients’ preferences and values. One way to implement this approach is by using patient decision aids — written materials, videos, or interactive electronic presentations designed to inform patients and their families about care options; each option’s outcomes, including benefits and possible side effects; the health care team’s skills; and costs. Shared decision making has the potential to provide numerous benefits for patients, clinicians, and the health care system, including increased patient knowledge, less anxiety over the care process, improved health outcomes, reductions in unwarranted variation in care and costs, and greater alignment of care with patients’ values. However, more than 2 years after enactment of the ACA, little has been done to promote shared decision making. We believe that the Centers for Medicare and Medicaid Services (CMS) should begin certifying and implementing patient decision aids, aiming to achieve three important goals: promote an ideal approach to clinician–patient decision making, improve the quality of medical decisions, and reduce costs. In a 2001 report, Crossing the Quality Chasm, the Institute of Medicine recommended redesigning health care processes according to 10 rules, many of which emphasize shared decision making. One rule, for instance, underlines the importance of the patient as the source of control, envisioning a health care system that encourages shared decision making and accommodates patients’ preferences. There’s also significant variation in the utilization of procedures, particularly those for preference-sensitive conditions, which suggests that patients may receive care aligned not with their values and preferences, but with their physicians’ payment incentives. Among Medicare patients in more than 300 hospital regions, the rate of joint-replacement procedures for chronic hip arthritis varied by as much as a factor of five, and the use of surgery to treat lower back pain varied by nearly a factor of six. Other studies have found wide regional variation in the treatment of early-stage breast and prostate cancers and in the use of cardiac procedures. Section 3506 of the ACA aims to facilitate shared decision making. Primarily, it funds an independent entity that would develop consensus-based standards and certify patient decision aids for use by federal health programs and other interested parties. In addition, the secretary of health and human services is empowered to fund, through grants or contracts, the development and evaluation of these tools. Decision aids are meant to be evidence-based and inform patients of the risks and benefits of tests and treatments, their relative effectiveness, and their costs. Health care providers will be eligible for grants to implement these tools and to receive training and technical support for shared decision making at new resource centers. The ACA also authorizes the Center for Medicare and Medicaid Innovation to test shared-decision-making models designed to improve patients’ and caregivers’ understanding of medical decisions and assist them in making informed care decisions. For approaches that provide savings or improve quality of care, implementation can be mandated throughout Medicare without additional legislation. Randomized trials consistently demonstrate the effectiveness of patient decision aids. A 2011 Cochrane Collaborative review of 86 studies showed that as compared with patients who received usual care, those who used decision aids had increased knowledge, more accurate risk perceptions, reduced internal conflict about decisions, and a greater likelihood of receiving care aligned with their values. Moreover, fewer patients were undecided or passive in the decision-making process — changes that are essential for patients’ adherence to therapies. Studies also illustrate the potential for wider adoption of shared decision making to reduce costs. Consistently, as many as 20% of patients who participate in shared decision making choose less invasive surgical options and more conservative treatment than do patients who do not use decision aids.3 In 2008, the Lewin Group estimated that implementing shared decision making for just 11 procedures would yield more than $9 billion in savings nationally over 10 years. In addition, a 2012 study by Group Health in Washington State showed that providing decision aids to patients eligible for hip and knee replacements substantially reduced both surgery rates and costs — with up to 38% fewer surgeries and savings of 12 to 21% over 6 months.4 The myriad benefits of this approach argue for more rapid implementation of Section 3506 of the ACA. In our view, it seems most critical to begin with the 20 most frequently performed procedures and to require the use of decision aids in those cases. Many decision aids have already been rigorously evaluated, so CMS could rapidly certify these tools and require their use in the Medicare and Medicaid programs. To give such a requirement teeth, full Medicare reimbursement could be made contingent on having documentation in the patient’s file of the proper use of a decision aid for these 20 procedures. Providers who did not document the shared-decision-making process could face a 10% reduction in Medicare payment for claims related to the procedure in year 1, with reductions gradually increasing to 20% over 10 years. This payment scheme is similar to that currently tied to hospital-readmissions metrics. In addition, the improved quality of care and savings gained through shared decision making can be maximized by integrating this approach into other ACA initiatives. For example, the documented use of patient decision aids could be used as a quality metric in patient-centered medical homes, accountable care organizations, and systems caring for patients eligible for both Medicare and Medicaid. Eligibility criteria for incentives to adopt electronic health record technology might be expanded to include the use of shared decision making and patient decision aids. Moreover, information gathered by the Patient-Centered Outcomes Research Institute (PCORI) could be incorporated into certified decision aids and used to provide physicians and patients with valuable information for making health care decisions. Data about the effectiveness of shared-decision-making techniques could also be collected and disseminated by PCORI for continuous improvement of these approaches. Unfortunately, implementation of ACA Section 3506 has been slow. More rapid progress on this front would benefit patients and the health care system as a whole. A drug that can save the sight of people with diabetes may now be made available on the NHS in England and Wales – reversing an earlier decision. At least 50,000 people in the UK have diabetic macular oedema which can leave people unable to read, work or drive. In 2011, the National Institute for Health and Clinical Excellence (NICE) said ranibizumab, which is sold as Lucentis, was too expensive. A final decision will be made in February. 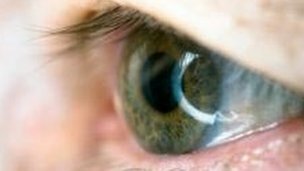 Macular oedema occurs when fluid leaks from the small blood vessels in the eye. Diabetes can trigger changes to the blood vessels leading to fluid collecting in the central part of the retina called the macular area. Saving sightProf Carole Longson, from NICE, said the manufacturers had agreed to reduce the price which led to a review of the guidance. Clara Eaglen, eye health policy and campaigns manager at the charity RNIB, said: “We believe NICE has thrown a lifeline to the growing number of people with diabetes facing blindness. In Trentino si sta mettendo in funzione la protonterapia! Auguri per la sostenibilità! A bold statement, I thought, considering several studies have shown that proton therapy provides no long-term benefit over traditional radiation and comes with significantly higher cost for most conditions. There are a limited number of conditions—such as pediatric oncology—where proton therapy is shown to be effective. Most striking, however, was the fact that this ad was specifically created to target a public that is not aware of the proton therapy’s marginal benefit and in what limited conditions it is effective. “Marginal benefit” is when two procedures have small differences in benefits but large cost differences. Usually the more expensive intervention yields more benefits, like fewer side effects. But in this case, we have a procedure with no added benefits that is a lot more expensive. Proton therapy uses atomic particles to treat cancer rather than X-rays. The particle accelerator is the size of a football field and costs about $180 million. According to the Yale study, Medicare pays over $32,000 for the treatment compared to under $19,000 for radiation. When applied to treat prostate cancer, outcomes were no different than intensity-modulated radiotherapy. Urinary function side effects were slightly better within six months but those advantages disappeared with 12 months post-therapy. The ad directly contradicts the findings of this study and claims that proton therapy has fewer side effects than traditional therapy. This claim is true for pediatric cases but not for prostate cancer, the one primarily targeted by these ads. What bothers me the most is that an AMC is peddling a more expensive procedure with no clear added benefit to the public through a massive advertising campaign. Isn’t there a moral imperative for an AMC to work in the best interest of their community based on the best available clinical evidence? Isn’t this supposed to be the era of value services? If they must advertise the therapy (possibly to recoup some of their costs or at least break even), why not target referring physicians rather than an unsuspecting public that is prone to request the latest and greatest technology just because it’s new? Perhaps referring physicians are wise to the lack of proton therapy’s marginal benefit and the AMC is hoping they will acquiesce to their patients’ demand for this marginal procedure. Is the public to know what cases are best for this type of therapy and for which conditions it is not well suited? We should expect more and we should demand better. Proton therapy is clearly a more expensive procedure where a just-as-effective procedure exists. Quality and safety has not been raised, only the cost of medicine. Come in Gran Bretagna, i politici devono dire “l’indicibile” per salvare il SSN: dobbiamo ristrutturate i nostri servizi per malati acuti. In sostanza, bisogna chiudere ospedali! For a government to aim for constant popularity in a world of 24-hour news is surely pointless, especially when it comes to the NHS. The religiosity surrounding our health system, graphically displayed in the Olympics opening ceremony, has long prevented honest discussion of its shortcomings. Our continual blind faith in a system designed in the shadow of war to serve a stoic nation is perplexing — and has cost lives. The realities on the ground, along with the poor clinical outcomes when compared with other equivalent countries, can no longer be ignored. The NHS has been showing signs of terminal illness for some time. Yet hospitals that are inadequate continue to be maintained. Any politicians who think that the current system, including the financing model and physical structures, can be sustained in the longer term, under the weight of increasing clinical demands, are deluding themselves. Indeed, by doing so, they risk further undermining the trust of an increasingly cynical public. Continuing to pay lip service to failed systems is just not acceptable. Neither is a short-termist and timid five-year plan. It is high time that politicians told the truth about the NHS. The system we have is not the envy of the Western world and outcomes are not as good as they should be. It cannot be right that criticism of the status quo is a political taboo. Professional politicians should cease ducking the issue just because it fails to deliver short-term electoral gain. Lives are worth more than votes. The last Labour government attempted to prop up the NHS by increasing spending significantly. Such financial largesse required the support of Middle England. As measurement was popular with the centre Right, targets were introduced to “guarantee” better care. The bitter irony for the people affected by the Mid Staffordshire scandal is that this target culture created the environment in which managers chased financial goals at the expense of humane care. Instead of looking for figures to fill election pledge cards, the last administration should have been concentrating on changing the NHS for the longer term. Sadly, it didn’t. A feel-good solution was delivered that left us all feeling worse. We have long needed to restructure our acute healthcare services. This will involve district general hospital closures, the consolidation of acute specialist services into larger, new hub hospitals and the building of more community clinics. This is not a political decision, but rather a clinically driven necessity, supported by all medical professional organisations. In London, consolidating acute stroke services has already saved hundreds of lives. Of course, closing local hospitals doesn’t go down well with the public, and changing people’s minds on this will be difficult. But we have no choice. Those of us who want to protect the fundamental principle of access for all need to make the case. The financing of health care also needs reform. I believe that the responsibility for funding should be moving slowly from the state to the individual. Technological advances, ageing, obesity and an increased appetite for medical treatments all load costs on to the taxpayer. New approaches to these challenges often fit poorly within old systems. I want people to be free to choose any lifestyle they wish, while understanding that their choices may lead to health care costs later in life. I want to be able to give more to the truly deserving because we have spent less on those able to provide for themselves. I also want the very best 21st-century health care to be delivered in safe and appropriate clinical environments. If politicians like me do not persuade the public of the need for these changes, then the vulnerable in our society will be put at risk. In return for this candour, the British people must accept this new reality. It is an untenable position for the public to demand politicians to tell the truth, only then to vote them out because what they’ve said is unpopular. If you really want a better NHS, then you will have to find the courage to vote for it. Ecco i documenti del II Workshop Nazionale sui Costi Standard tenutosi il 18 Ottobre 2012 aSan Giovanni Rotondo, a cura del N.I.SAN.